Last weekend, Charlie and I escaped the city and headed back to my old neck of the woods; Herefordshire and the Cotswolds. My brother’s family and lots of old school friends still live back in Herefordshire, so our weekend away from London was the perfect opportunity to catch up with loved ones as well as enjoying the tranquility of the countryside. We also spent a couple of blissful days at Dormy House – as a result of me winning a competition at the Debenhams Press Day, and there will be a post on that tomorrow! 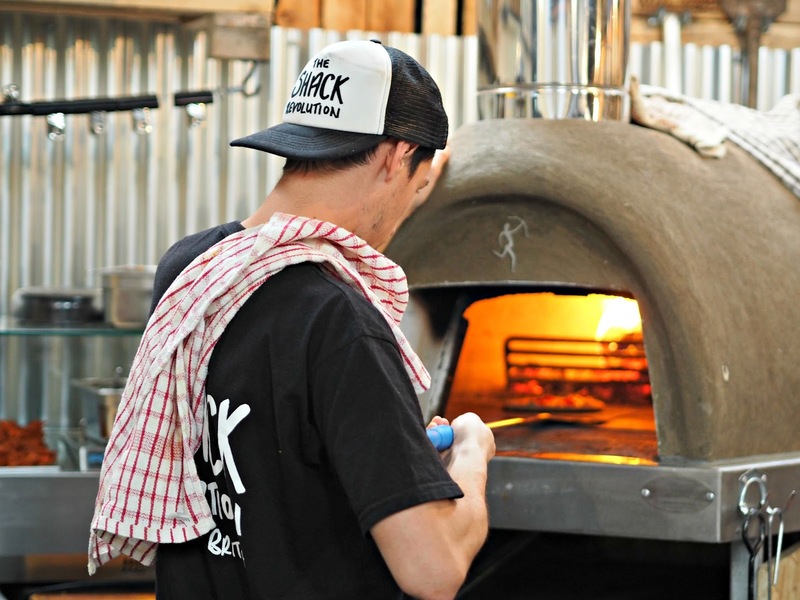 Our first stop was Hereford, where we popped into The Shack Revolution – a new pop up Pizza and cocktail hang out created by Rich Manning, who happens to be an old school friend of mine, and a uni friend of Charlie’s (it’s a small world!). Tucked away in a yard behind the high street, the rustic pop-up still has an exclusive feel about it, and it seemed that most of the people inside had heard about the place through word of mouth. 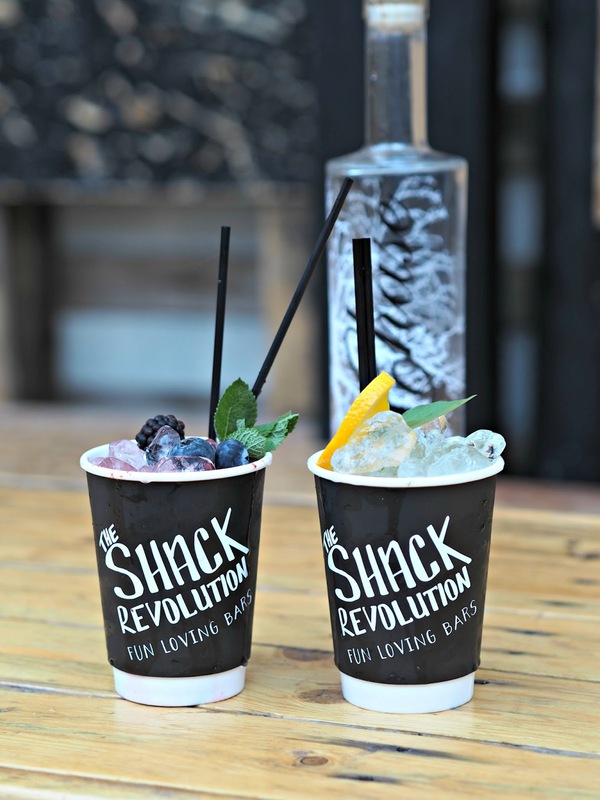 In comparison to the somewhat sleepy town of Hereford, the Shack Revolution was absolutely buzzing, thanks mostly to the super friendly staff, and the chilled atmosphere. Created with Chase Vodka, which is a local Herefordshire product created from Potatoes, as well as Gin and Rum, the cocktail selection could put any London bar to shame, and Charlie and I challenged ourselves to try as many different ones as possible. My favourite being the Berry Bramble, made with Gin, cassis, lemon, sugar and soda, as well as a fresh blend of mixed berries. 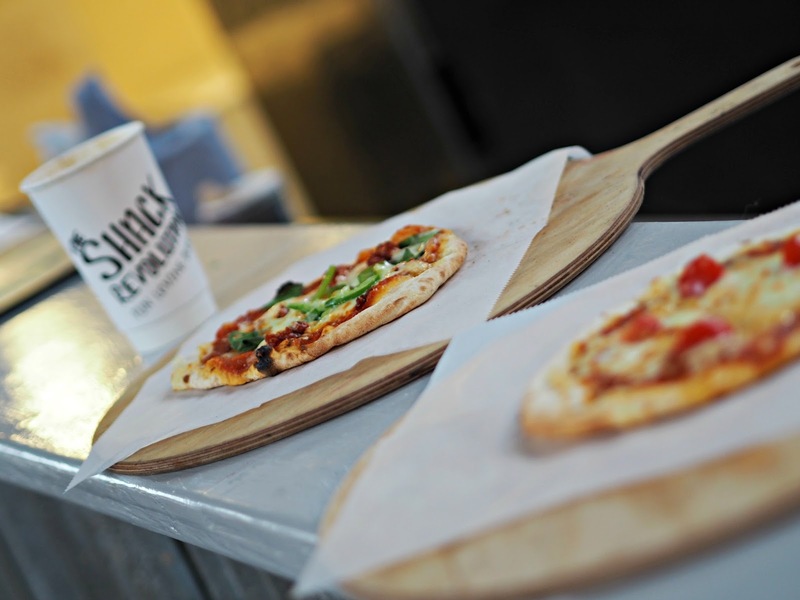 From the traditional wood burning fire oven, the thin crusted Pizzas were on a whole other level. Why anyone would go to a Pizza Hut for something mass produced when you can indulge on fresh local produce I just have no idea, and at The Shack Revolution the pizza toppings change weekly depending on what is fresh at that time, but some classics remain on the menu such as Brie, Courgette and Caramelised Onion. 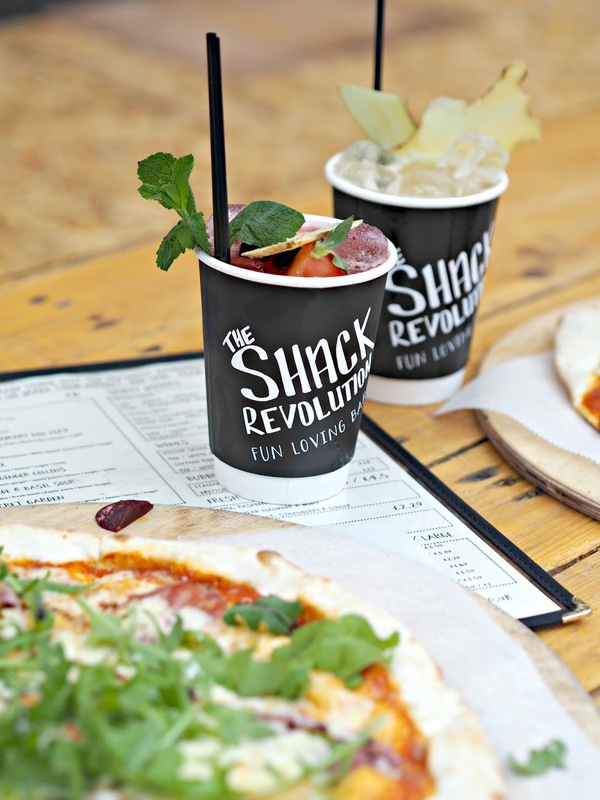 The whole vibe of The Shack Revolution is spot on. No frills, but seriously good food and drink, and an unbeatable atmosphere, created by the locals, and visitors alike. 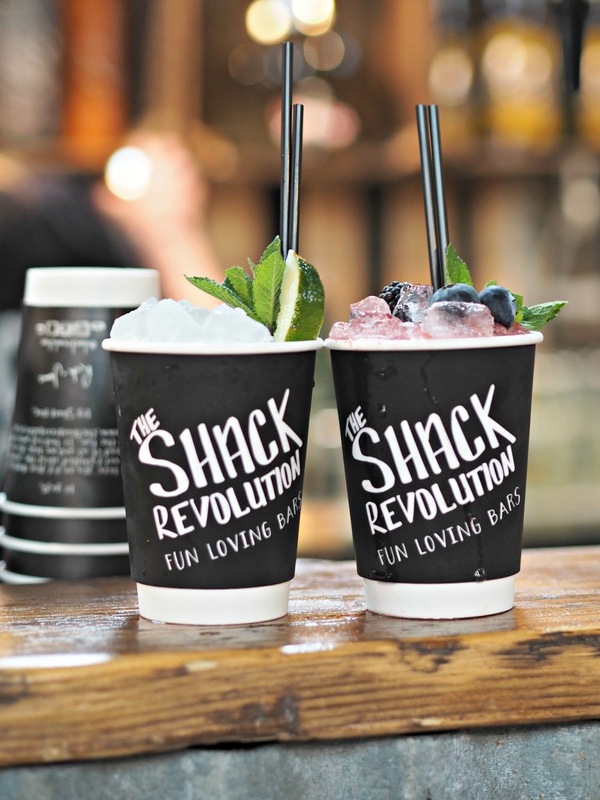 If you’re ever close to Hereford, then this is one place that you must visit, otherwise you can sometimes catch Richard and The Shack Revolution at Food Festivals across the country. The following day, Charlie and I spent the morning exploring Cheltenham, a beautiful spa town which has almost a Hampstead/Richmond type of feel to it with the beautiful Cotswold stone buildings, and stores including Space NK, The White Company and Joules. After browsing in the estate agent windows (no, we aren’t moving out to the countryside, just marvelling about how much more you can get for your money away from the city!) we stopped for a smoothie and light breakfast at Boston Tea Party. We were joined by Millie, one of my school friends who insisted we tried the Goats Cheese and Walnut salad, but at 11am we just weren’t ready for it so will have to keep that one on our list for next time! After exploring the shops in Cheltenham, we made a leisurely drive towards the village of Broadway, where the Dormy House Hotel is located. 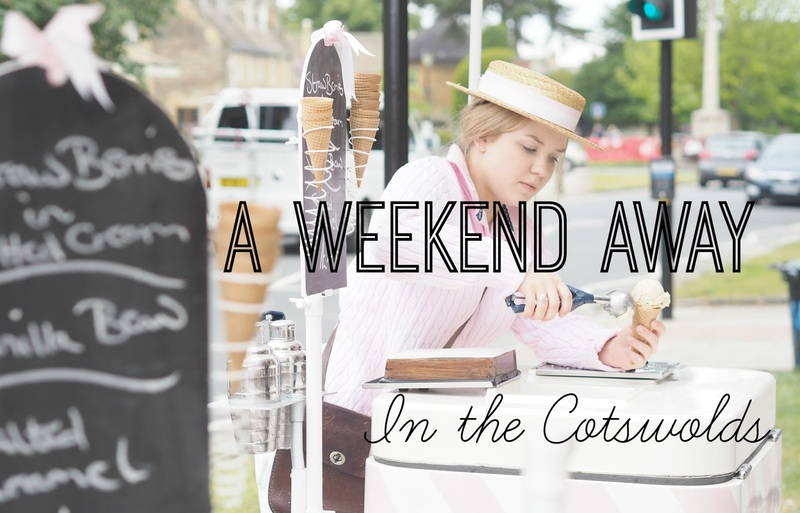 Despite it clouding over, we couldn’t resist the pink and white striped cart on the village pavement selling creamy farmhouse ice cream. The que of locals and visitors alike was a sign that we were in for a treat, and oh wow. I can hand on heart say that the Strawberry and Cream ice cream that I had was without doubt the most delicious ice cream I’ve ever had. And I’ve had a LOT of ice creams! Next stop, Dormy House. I can’t wait to tell you all about it in tomorrow’s post!